I have been a Star Trek fan for over 30 years and have enjoyed building models of the different ships for almost 20 years. The ships you will see on this site are kits that I modified to add lighting and other details to make them more realistic. They have windows that are hand cut when necessary and LED's for the lighting. The engines, deflector dishes, running lights and strobe lights are all added to simulate a powered up starship. They are airbrushed and all the small detail is painted by hand. 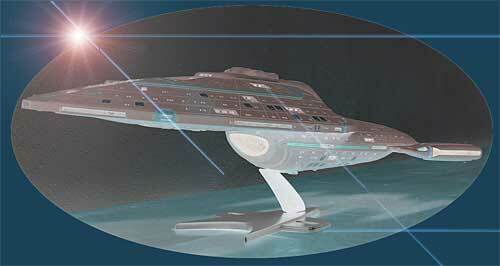 Sections will have pictures of some of the actors from the different series along with the ships I built for them. Some pictures of the ships being built will show the amount of time that it takes to make the ships light up. These pages are a work in progress. Return often to see updates!